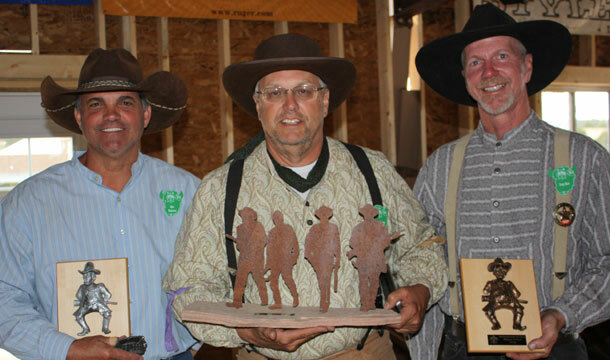 With a 1911, a lever action rifle and a pump action shotgun, 61 shooters went through 12 stages during the first 2 days of End of Trail in Edgewood, New Mexico. 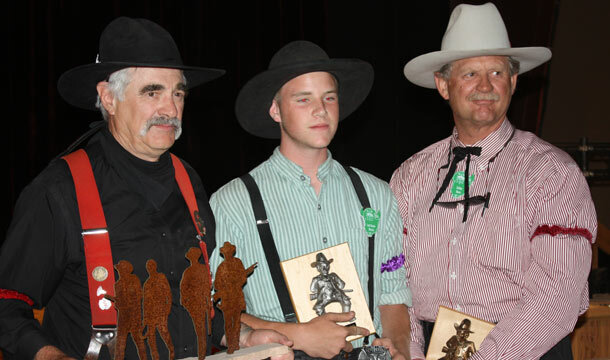 This new side match in cowboy action shooting is growing fast and compared to last year’s EOT, attendance was doubled. There are 2 categories in Wild Bunch and based on the type of 1911 used and shooting style. Evil Roy won the Modern Class with Last Chance Morales and Grow Taller 4 Idiots Robber Baron on second and third. In the Traditional Class, Fast Hammer placed #1 followed by Matt Masterson and Crazy Kurt. We will have more about the Wild Bunch Match in SASS in the weeks to come.